At the age of thirteen, Angelina Clark followed in the footsteps of her ancestors by casting an Appalachian love spell, which promised she would blossom into a beautiful and gifted woman who would find her true love. A young Angelina had been thrilled to participate in the sacred ritual, but through the years, her father’s untimely death and her mother’s failing health have shaken Angelina’s magical faith to its core. As her twenty-first birthday approaches, she refuses to practice her supernatural gifts and no longer believes in the love charm. That is, until Dylan Thomas arrives on her front porch. Dylan, a Nashville writer, travels to the mountain town of Maple Ridge to unearth the family’s supernatural secrets. While her clairvoyant mother is convinced that Dylan is her daughter’s soul mate, Angelina refuses to see the nosy reporter as anything more than a nuisance. Despite their constant bickering, sparks fly. Dylan admits he feels strangely drawn to Angelina and is in no hurry to leave Maple Ridge or publish his magazine article. Fearful that his emotions are being influenced by the spell, a stubborn Angelina struggles to fight her own budding attraction to the reporter. The two inevitably grow closer just as her mother’s health begins to deteriorate, and Angelina is faced with the possibility of selling the family’s music shop to pay the mounting medical expenses. Desperate to help the woman he loves, Dylan explores his own family tree and finds support from an unlikely source. Can he finally prove his love is real—spell or no spell? A story filled with love, friendship, family, and just a hint of Appalachian magic, Mountain Charm will leave you spellbound. If you were given a chance, would you enter Big Brother? I love Big Brother! But I would not want to enter the house. Those live feeds show EVERYTHING. I’m way too private for that. I like both, but we only have a cat. His name is Gus and he is the most spoiled feline on the planet. He recently went through a phase where he wouldn’t sit anywhere except on the kitchen island. He only jumped down to eat, drink, and use the litter box. We thought we were going to have to put him on Kitty Prozac. If I came to your home and looked inside the refrigerator, what would I find? Half a cheesecake, Coke, Diet Mountain Dew, and a carton of milk that expired weeks ago. Don’t judge! I have a looming deadline. I’m a people-pleaser, which can be a nice quality, but not when you drive yourself crazy, and that’s what I tend to do. I’m working on finding a happy medium with it. Leonard (Johnny Galecki) from The Big Bang Theory! He’s a nerd, but he’s also relatable. I love Sheldon, too, but he and I couldn’t have a conversation. If given a chance to skip work for a day, how would you spend the entire day? Writing or reading. I’m so boring. Night, definitely. I am not a happy camper in the morning. My house. Again, so boring, but it’s the truth. We have a little cabin in the woods and we’re pretty secluded, but not so secluded that we don’t have Wi-Fi. J We have a wrap-around porch and nobody bothers us. It’s my idea of heaven. If you were stranded on a lonely beach, what are the five things that you would want to survive? “It’s your birthday?” Dylan asked. Instead of pointing out just how ignorant he sounded, Angelina decided what he truly needed was a strong dose of fear. Excited for any useful information, Dylan’s eyes lit up and he nodded enthusiastically. Once again, those good manners kicked in, and Dylan opened the door for her. Angelina raced inside the house. She hadn’t touched it in years, but she still remembered where her father kept the key to the case. She grabbed what she needed and quickly made her way back out to the porch, letting the screen door slam behind her. Angelina lifted the rifle and pointed it straight at him. He didn’t need to know the safety was on—or that the chamber was empty. Angelina thought it was almost comical, hearing him curse and watching him leap off the porch. All the commotion caused her dog to chase after him, which only made Dylan sprint faster until he reached the sanctuary of his vehicle. “Are you insane?” Dylan yelled. He slammed the door and had to do some fancy maneuvering to get around her car, but within seconds, the only sounds Angelina could hear were Dylan’s squealing tires, her dog’s noisy bark, and her mother’s hearty laughter. 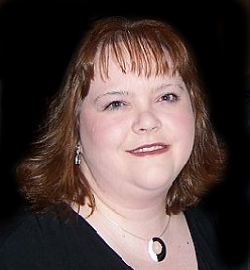 Sydney Logan holds a Master's degree in Elementary Education and lives in East Tennessee. With the 2012 release of her novel, Lessons Learned, she made the transition from bookworm to author. 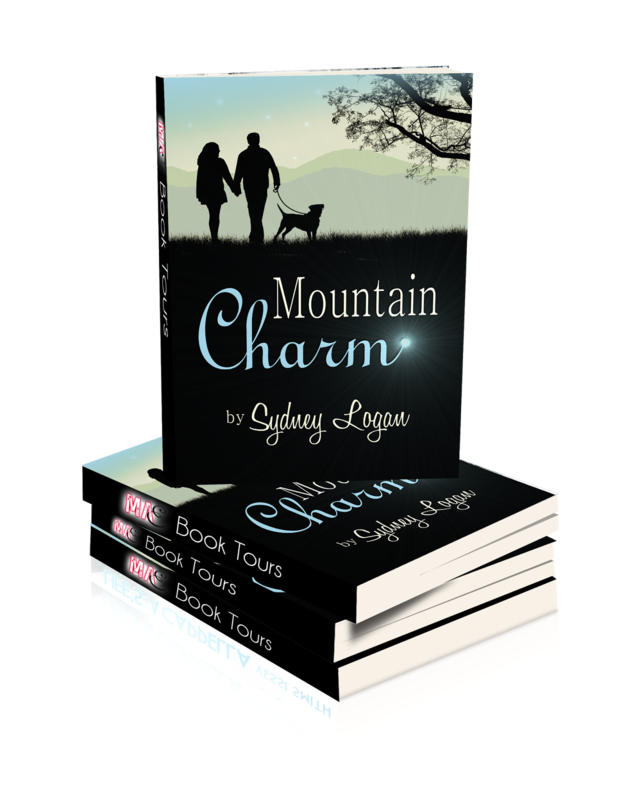 Her second book, Mountain Charm, was released in 2013. She is also the author of three short stories. When she isn't writing, Sydney enjoys playing piano and relaxing on her porch with her wonderful husband and their very spoiled cat. AUTHOR BLITZ: Meet Lorenz Font! Way to Go M.B. Feeney!